Once in a blue moon an artist or band will craft a sound – a sonic experience – that immediately falls effortlessly into an impeccable existence in terms of both form and function. 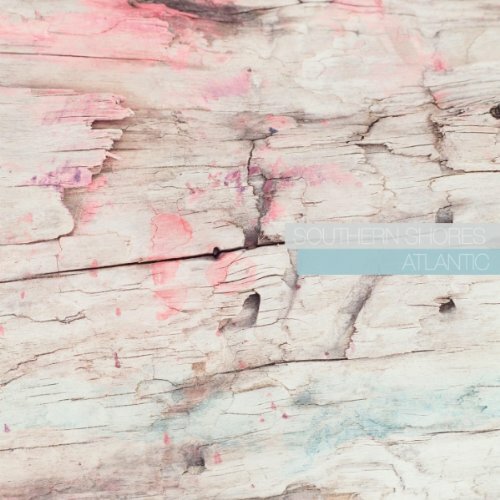 One such example of this increasingly rare phenomenon is Atlantic, the debut EP release from Canadian duo Southern Shores. Emanating from the frigid coastline of Halifax, Nova Scotia, this impressive first compilation of disco-infused pop tunes sounds more like it belongs under the sun on some trendy summer beach along southern Europe. Though every track is well placed and perfectly composed – not a single second goes to waste – Atlantic, an indisputably warm and easy-going record sadly stands at only 6 tracks and a mere 23 minutes long. And though short and dizzyingly cohesive, the diversity present on this record is intoxicating. Opening track, “Take Me Anywhere,” is bursting with carefree enthusiasm as ethereal synth sweeps combine with dialog samples from the 1940’s film, “Out of The Past” to set the stage for a nostalgic-yet-innovative throwback to sounds and vibes of old. Leading us into the middle of the album, “Tangier Winds” is a more relaxed track dripping with the sedation of late-afternoon summer sun; heavily delayed vocal call and response leans towards a less politically inspired Thievery Corporation vibe while purely euphonic soundscapes urge eyelids to repose. Though this entire album is artfully crafted, the second half of this short release is where Southern Shores truly find their stride. “Night Is Young” evokes fond memories of Gloria Gaynor as gospel-esque vocals permeate the feel-good simplicity of half-time disco grooves while album closer, “Meridian” lends itself to a regretful departure back to whatever reality you live in. Its laid-back syncopation of melodic and rhythmic elements spins a coolly fluent conversation between South African-style gang vocals and island melodies proving once and for all that this duo have achieved extreme rarity by releasing a debut incapable of negative review. The only downside to this EP is that we’ll have to wait for future releases to further indulge our ears in this pleasurable escape from the normal. Until then, however, I’m sure this will do just fine.